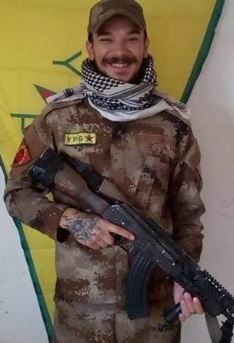 A British jury has been shown journal entries made by a man from Liverpool who travelled to Syria to fight with the Kurdish YPG against Daesh in 2017. “My so-called country should be proud of the work us volunteers are doing as they have failed to help,” James wrote in October 2017. James admits travelling to Syria, via northern Iraq, in the autumn of 2017 but he denies two counts of engaging in acts of terrorism and one charge of attending a placed used for terrorist training.